One of the most important aspects of the program that is offered at the Men’s Mission is the aftercare program. 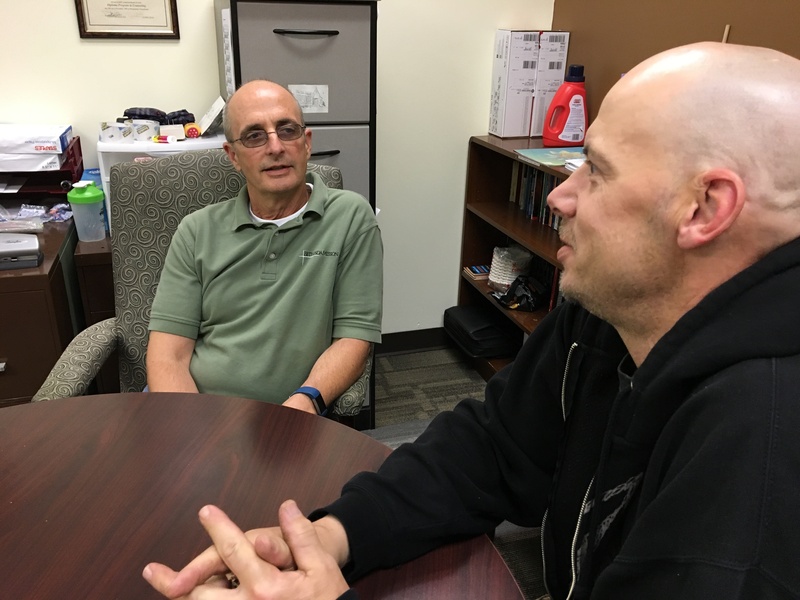 The aftercare program begins when a man completes and graduates the Helmsman recovery program. Once completion takes place, a program graduate is offered an additional six-month program commitment at Trinity House, our transitional living facility. Trinity House is located in the Goodwill Complex off Cameron Street. Goodwill has been a great partner, renting this facility to Bethesda Mission for the past 12 years. and triggers these past few months and has established himself as a serious follower of Jesus Christ. Robert has a number of things that he still needs to work on such as safe accountability relationships, a steady job that can provide him a livable wage, perseverance through these early months of transition, and people to give him a second chance at living, but I am very encouraged by his progress so far. Doug counseling one of the men at Trinity House. As stated above, program graduates are given the choice to come to Trinity House. If a man does not come over to Trinity House, he is still a candidate for aftercare. If he leaves us contact information, I stay in touch with him, especially in the first few months after leaving the mission program. We have a quarterly Helmsman alumni breakfast where all alumni are invited to come to the Old Country Buffet, pay a $5 donation for breakfast, and share with one another how things are going in their lives. Romans 12:15 speaks of “rejoicing with those who rejoice, and weeping with those who weep,” which is the purpose of the breakfast. We have a room where we meet, we spend a bit of time eating (it is a buffet) and then spend the remainder of our time sharing life with one another, which is what Jesus did with the disciples and the disciples did with those they were making disciples. As part of aftercare, following up with mentors and churches are key components to my week. Accountability is a key piece in the early walk of the disciple of Jesus Christ especially those who are coming from an addiction issue. This is one of the aspects of the program that needs to be strengthened as well. With these challenges, many of our guests have to move into a boarding house situation in a not-so-safe neighborhood and/or house. Thankfully, we have been able to partner with one landlord who has a few houses in the city along bus routes. This living arrangement also requires accountability and a number of other things that the men are familiar with from living at Trinity House, but there are a limited number of rooms available. That means that we need to have both more space here at Trinity House, which is something we are considering, along with more safe landlords who understand the struggle that our guests face trying to live independent lives as productive members of society. For some of our guests, this is the first time they have ever tried to live on their own without substances, so transitioning from that type of life to the new life in Christ that they have been learning and experiencing for the past 12 – 18 months is very challenging. 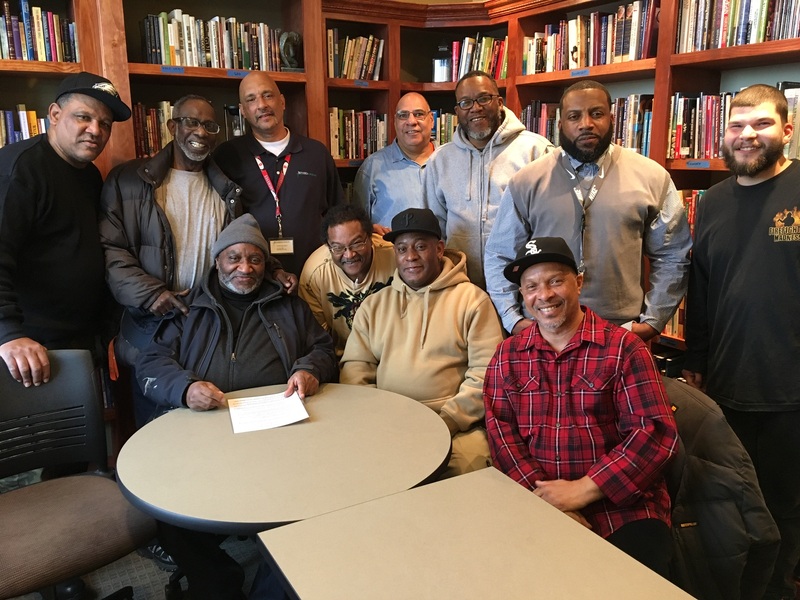 Men’s Mission house supervisors, many of whom have completed Bethesda’s recovery program and participate in alumni aftercare as well. Unfortunately, some of the men experience rough times when they leave the Mission and Trinity House. They did not experience the pull of temptation that they face once they leave the safe confines of Bethesda Mission programs. For instance, a man may pick up a substance again, fall back into drug use, but then recognize that this is not the life that God has called him to, nor the one that he desires to live. He then reaches out to us and if we can get him situated where he is by encouragement and accountability, that is a good thing. If he goes so far with his substance that he loses his job, his housing, and his dignity once again, he can return to the Mission. If there is room at Trinity House, I would consider bringing him back along with a plan of action. Finally, when I speak of aftercare it really does not imply that care is over, it really is about continuing care. I mentioned our guests’ insecurities with finding safe places to recover and it is my hope that God will provide the following things to enable us to assist those who need help without putting undue pressure on them. We need Churches, landlords and more employers that would be willing to give a person who made bad decisions in their life a new and fresh start at life. Why would anyone want to do this? I believe it is what Jesus wants us to do. It is part of disciple making. Jesus said, “as you have done it to one of the least of these my brothers, you did for me.” (Matthew 25:40). When you help out one of these guys, you are doing it for Jesus. Would you consider praying for these things to become a reality, and if you have the ability would you consider helping? Thank you on behalf of our graduates. I will leave you with a story of a man who we will call Jacob. 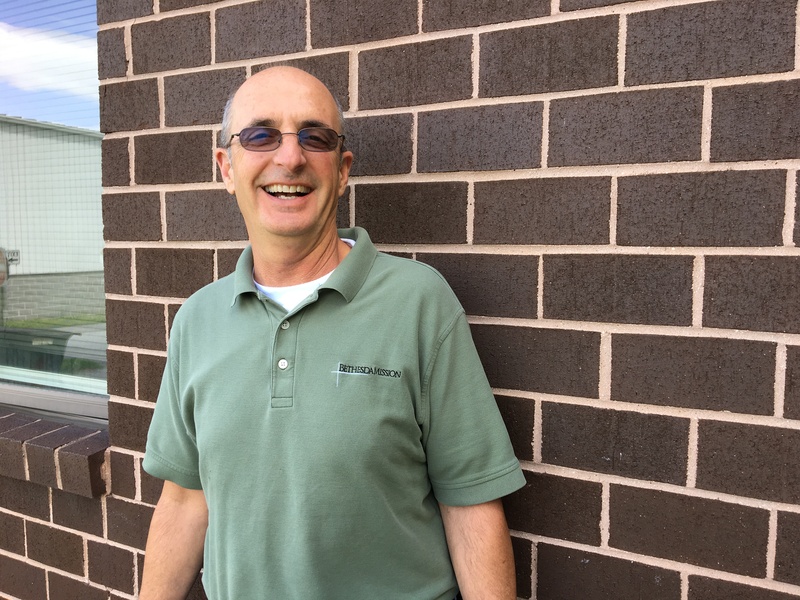 He lived here at Trinity House for nine months, started working at a temp agency, and after seven months with the temp agency, he was hired full-time. He persevered through that temp time, became a productive member of his church, established and maintained accountable relationships, and saved enough money to move out on his own. Jacob continues with the principles that he learned and put into practice to this day, and we celebrate with him all that God is doing in his life. It hasn’t always been easy but he stuck with what he was taught and held on to the promises of God.